It’s certainly no secret that France abounds with picture-perfect destinations. Every year, millions of tourists flock to France to enjoy this country’s diverse beauty – from snow-capped alpine vistas to orderly hillside vineyards, from idyllic beaches to medieval villages, France is an endless feast for the eyes. And yet, even in this nation of postcard-ready panoramas, some places display such staggering shows of beauty, they’re in their very own club. This exclusive ‘club’ is an association that’s been around since 1982 – Le Plus Beaux Villages de France. This independent organisation aims to promote small French villages of outstanding beauty and heritage. In order to earn the ‘Le Plus Beaux” title, villages must submit an application form and meet the following criteria: it must have a total population of 2,000 residents or less, a rural character, and at least two national heritage sites. Membership of the association is highly sought after – as of 2015 only 155 villages have made the cut, and the association aims to keep the total number under 200. Attaining status as one of the most beautiful villages in France provides a a lot of prestige and popularity to locations that might not usually be on tourists’ itineraries. Villages with the designation (often shown with a road sign bearing the association’s logo) can expect a significant rise in visitors after earning this illustrious title. On our cruise along the Canal du Midi, we’ll pass near the village of Lagrasse, about 19 miles southeast of the famous medieval walled city of Carcassonne. Situated in the valley of the River Orbieu at the foot of the Pyrenees, Lagrasse dates back as far as the 8th century. When we visit it, highlights include the Romanesque-style Benedictine abbey with its 40-metre octagonal bell tower, many old bridges, the remains of the town walls, and the narrow medieval streets. Don’t miss a chance to taste the local wine – the Corbières wine region is world-renowned. In Burgundy, you’ll have the chance to see Vézelay, a hilltop village of significant historical importance. The town’s Romanesque basilica (a UNESCO World Heritage Site) is said to hold the relics of Mary Magdalene, a claim which has drawn large numbers of pilgrims over the centuries. In medieval times, Vézelay was a major starting point for pilgrims embarking on the Way of St James that leads to the famous pilgrimage centre of Santiago de Compostela, situated in present-day Galicia, Spain. Today, Vézelay’s abbey is one of the village’s most intriguing – and beautiful – features as it looks down on the meandering, cobbled streets of this hillside paradise. 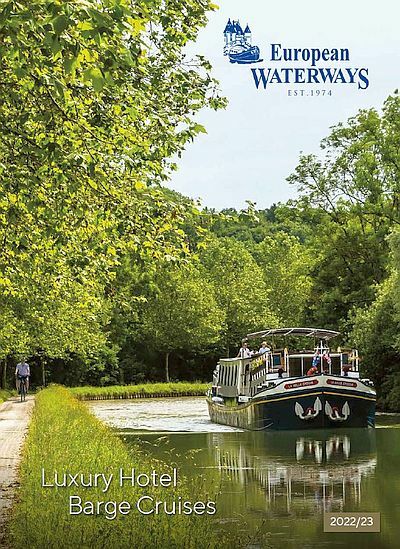 If you’re interested in finding out more about France’s most beautiful villages, look into our many cruises that navigate through Burgundy, Bordeaux, the Loire Valley, and the Midi. Any of these areas are guaranteed to provide a beautiful, picture-perfect moment.